In an update to the Samsung Experience Launcher yesterday, Samsung seems to have added support for home screen rotation to the Galaxy S8, Galaxy S8+, and Galaxy Note 8. This was a feature only available on the Galaxy S9 and Galaxy S9+ until this update. This now allows for users to enable a landscape mode in settings. This feature isn’t a super important feature that is being enabled. It’s just a small thing that makes for a better quality of life. Some people like to use their phone in both a landscape and portrait mode. Phones with larger screens are sometimes difficult to use in a portrait mode because of their length, especially with new aspect ratios like 18.5:9 and 18:9. A landscape mode makes these phones easier to use. Now the launcher will match the orientation of the app you’re using. This launcher is also built targeting Android 8.1. 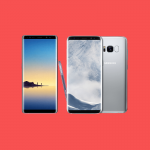 The Galaxy Note 9 is most likely launching with Android 8.1, so the Note 9 is going to launch with pretty similar software to the S8, S9, and Note 8. We are told that Android 8.1 and Samsung Experience 9.5 are almost exactly the same as Samsung Experience 9.0, which is running on the S8, S9, and Note 8. The only changes are supposed to be in the S-Pen features which are supposed to be running with the new S-Pen with support for Bluetooth. This is another step in Samsung releasing features that were exclusive to the Galaxy S9 to the older phones. Both the Galaxy S8/S8+ and Galaxy Note 8 have gotten features from the S9 via app updates from the Galaxy Apps Store. Samsung updated the Always On Display to add support for GIFs. They also added video lock screens that are part of the S9 and updated the S8 and Note 8 with support for that. All of this is just weeks before the Note 9 is supposed to launch.